We run the best stopwatches for swimming through their paces. Let’s get our digital hand clock on! Swimmers have a love-hate relationship with the clock, and by extension, their swim coach’s stopwatch. The results on the stopwatch can motivate us. It’s impossible to forget the first time you break a barrier in training, whether it’s a sub :30 seconds lap of freestyle, or cracking 3:00 while doing a 200 of kick. 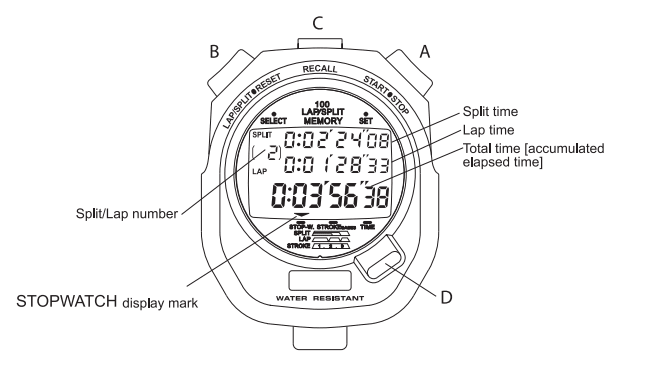 The stopwatch is basically an official part of the swim coach’s uniform. You see it dangling from necks, the cords wrapped around the wrists, and the thumb perpetually poised atop one of the buttons. The Best Waterproof Fitness Trackers for Swimmers. Need something a little more high tech to count your laps? From the Garmin Swim to the MisFit Shine 2 and everything between we cover the best wearables for swimming. The Best Lap Counters for Swimmers. On the lower tech side of things are finger-mounted lap counters. They are cheap, reliable, and surprisingly durable. Whether you are looking to pick up a stopwatch for your swim coach as a gift, or you want to get something new for yourself to hit the pool deck with, here’s a breakdown of the best stopwatches for swim coaches. 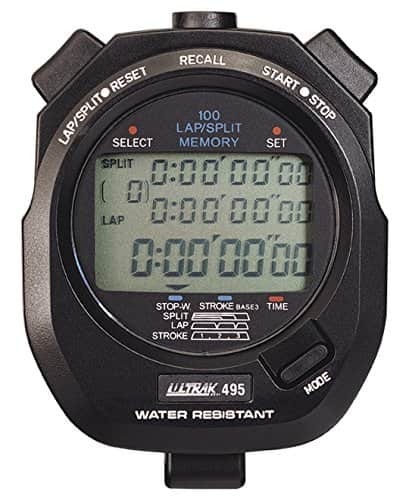 It’s not too often that a product dominates the landscape of a market, and regardless of how niche the swim coach market is, the Ultrak 495 is heads and shoulders above the competition when it comes to stopwatches. 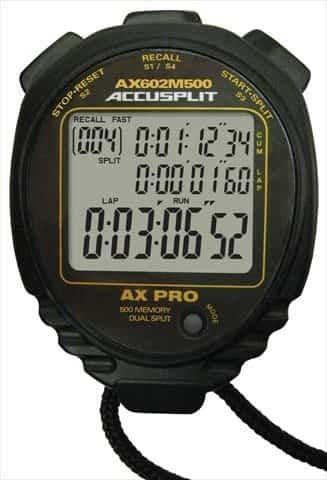 This stopwatch has consistently been ranked as the best watch for swim coaches among a wild majority of the coaches I’ve talked to. There simply isn’t anything else that compares for longevity and use. The buttons are impossible to miss (something that is problematic with stopwatch apps on smartphones), it is water resistant (helpful on those watery and slippery pool decks ), and they are durable as heck. Beyond the usual cascade of splits and times, you can also measure a swimmer’s stroke rate and frequency, store up to 100 splits and lap times, and use the calendar function. While it is priced a little higher than the other watches on this list, you get what you pay for. They are durable as heck, the buttons will take a beating, and while it’s not the prettiest thing in the world, it flat out works. The Ultrak 495 retails for around $30 via Amazon. 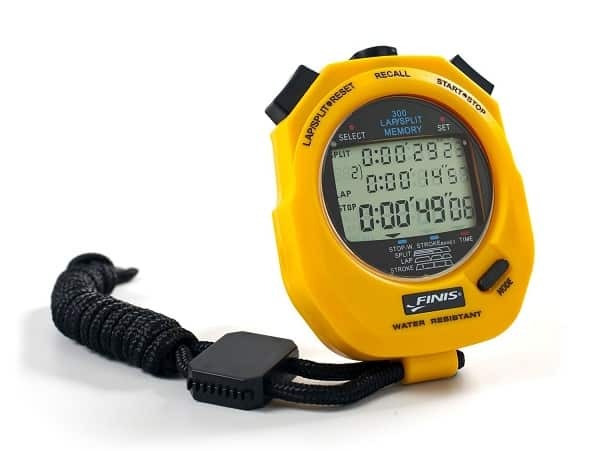 Next up we got the FINIS 3×300 stopwatch. It’s a quality second place finisher, performing all of the same functions as the Ultrak 495. The only issues I’ve experienced and heard about from other coaches are durability issues. Whether it’s getting a little bit of condensation in the screen or the watch stopping outright after a couple pool deck drops (those are gonna happen) the FINIS gets high mark for function but lower marks for longevity. It does all the stuff you would expect from a swim coach’s stopwatch: split times, running time, stroke rate and so on. An added benefit of the FINIS stopwatch is its color. That distinctive yellow (that almost all of FINIS swim gear comes in) makes it less likely to get lost in the bottom of your swim bag. While it is listed as being water resistant, it’s not water-proof. As a result, avoid the urge to dunk it in the water and make sure it is off your neck before your swimmers throw you in the water after a successful championship meet. Lastly, we have the Accusplit 500. The Accusplit watches tend to get a fairly divided response from coaches when asked about it: those who love it really love it (particularly lefties that appreciate the twin left-right button set up) while those who don’t, well, you know. The Accusplit 500 is one of their premium watches, and it comes with the 3-line display that you would expect from an advanced stopwatch. You get your dual split with cumulative laps. Quick button functionality for those tight 1-2 finishes. It can record up to 500 (hence the name) splits and times. And there is also a rapid result/split reset function that resumes timing if you get a little itchty trigger-fingery and press the stop button too early. The stopwatch is water-resistant, has a proof-of-purchase on the back (perfect in case you lose the receipt while it’s under warranty) and has a five year limited warranty. Oh, and lanyard included too.